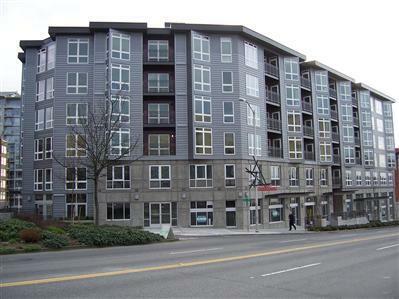 The recently completed Matae is one of the newest low-rise condo buildings in the Belltown – Lower Queen Anne area (159 Denny Way). The Matae is located on busy Denny Way across from the Seattle Center. Interior finishes include hardwood floors, granite countertops in the kitchen, stainless steel appliances and marble countertops in the bathroom. Amenities include a fitness center, roof top deck with BBQ and club room. The units on the northend (facing Denny) will likely be noisy as Denny is a major thorough fare. The back end (facing south) looks over an alley and is presumably quieter.